Trending 4/20 Products - The Cannabis Social Network. High There! 4/20 is just days away! The time is ripe to get stocked up on the best cannabis products on the market to make the oh-so-special day that much more enjoyable. Without further ado, here are 6 trending cannabis products from Canndescent, Mr. Moxey’s, Mood33, Orchid Essentials, Caliva, and SUM that definitely err on the side of elevated. If you’re a fiend for all things green, these staples are sure to make your day a hit (pun intended). Canndescent rolled out the latest product in their Stylus Series earlier this year that gives consumers the freedom to choose their desired high and super convenient way. The Stylus is a vape pen that resembles a classic executive ballpoint pen. The innovative design of the rechargeable Stylus is sleek and works with five oil cartridges: Create, Charge, Calm, Cruise, and Connect. It’s small and sleek so it can be carried around anywhere, no matter how mini your new favorite trendy bag is. If you’re needing some inspiration, reach for Create. Then again, if you want to take things slow, opt for Calm. This easy to use vape pen features a micro USB charger and three magnetic cartridge rings that correspond to three different heat setting options. If you want to increase the flavor and maximize your battery life, just lower the heat. Want a stronger hit? Then turn up the heat and you’re ready to blaze. These Stylus vape pens contain all-natural terpenes without any artificial additives that give you a strong flavor profile without the hassle or smell of smoke. Whether you’re a seasoned smoker or just starting out, this Vape Pen is perfect for your 4/20 buzz. Mr. Moxey’s Mints came took the market by storm a few years back with their natural, high-quality, cannabis-infused mints. These mints offer the perfect amount of THC and/or CBD to microdose your day while also yielding a very pleasant flavor. These tasty little candies help to stifle the source of your dank-breath in a discrete, flavorful, and medicinally miraculous way. The mints come in great flavors like ginger, cinnamon, and mint, to THC, CBD, or both. These mints have a way of tickling your taste buds and giving you a delightful hint of cannabis that offer sublime and balanced experience. Mr. Moxey’s mints are perfect for beginners and has been known to offer users relief from their stress, pain, headaches/migraines, insomnia, and more. Each Mr. Moxey’s Mint carries 5mg of THC in Energizing Peppermint and Relaxing Cinnamon flavors. If you’re looking for a full-body relaxation and calming blend, check out Mr. Moxey’s Ginger Mints which offers a non-psychoactive combination of 5mg of CBD in addition to 1mg of THC. This is the perfect blend for unwinding after a long week and/or celebrating 4/20! Mood33 has built their company off of producing natural and uplifting herbal tonics that appeal to health-conscious consumers. Their latest cannabis-infused tonics combine sophisticated flavors like green tea, dried lemon peel, and rose hibiscus flowers in three unique formulations including Joy, Passion and Calm. The major pull behind these tonics is the low-sugar concoction that yields just 33 calories. It provides a healthy alternative to other cannabis-infused drinks due to its focus on herbs and botanicals. You can mix and match a 4-pack and pop open a few bottles with friends at the park. 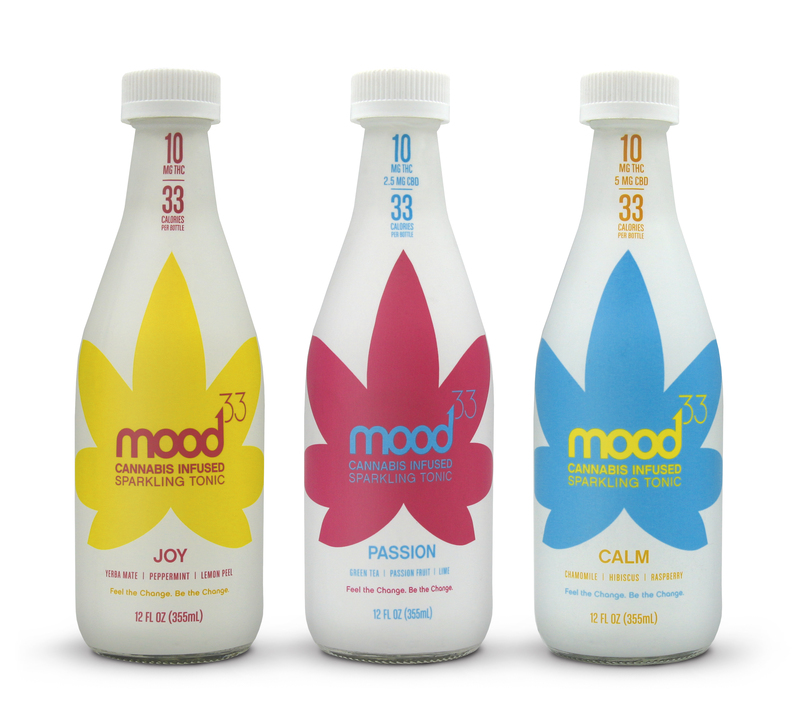 Each bottle of Mood33 contains 10 mg of THC and 2.5 mg of CBD, which is enough to produce a mild high for about 1-2 hours. This makes it so that you can steadily drink two or three in a night and maintain your buzz without feeling too loopy, which is the perfect way to safely spend your 4/20. Orchid Essentials designed their latest handcrafted vape pens and oils for maximum flavor and overall enjoyment. The robust flavor profiles of Orchid’s six strain options allow you to vary your vaping session to suit your mood or taste preferences. Although these vapes don’t have the strongest THC content, they are known for their high terpene content. These natural terpenes are derived from the original strain which delivers a superior taste and efficacy without any chemical aftertaste. The flavors are complex and delicious, while not being overpowering which can be attributed to Orchid’s choice to only source locally from sustainable farms and always use organic techniques. These Tasty Terpene Vapes subtly help to relax and calm your mind while influencing a positive mood change which is great for sustaining a daytime 4/20 day high. Caliva’s Reef Leaf Stash Pack kit including a Reef Leaf pouch (5g of pre-ground flower), king size rolling papers, white-tipped matches, and a glass crutch; all in one convenient box. The pre-ground buds in the pouch aren’t shake or trim like other products; they’re ground up, full-flower budlets. The resealable packaging gives any cannabis enthusiast the ability to focus their mind, steady their body, and inspire their creative side on the go. All in all, this Stash Pack is the perfect grab ‘n’ get rippin’ kit that helps you enjoy the perfect doobie on 4/20. SUM (Superior Uptake Microdose) developed some incredible, fast-acting sublingual tablets that active marijuana enthusiasts use to elevate their standard of consumption. SUM’s sublinguals are small, discreet tablets that absorb directly into your bloodstream, allowing you to integrate relief and responsibility into a hectic or prolific lifestyle. They currently come in 4 different CBD:THC ratios (Energy, Focus, Calm, and Relief) with a sleep-related cannabinoid in development that will provide gentle sedation. These under the tongue tables of pure CBD and THC give enthusiasts a quick dissolve microdosing solution that offers a safe, precise dose, every time. If you’re keen on getting all of the therapeutic benefits of cannabinoids without getting intoxicated, these microdose sublinguals are right up your alley.